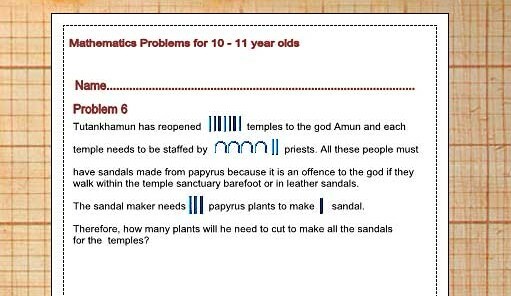 These questions are intended to help illustrate the benefit of using algebra. 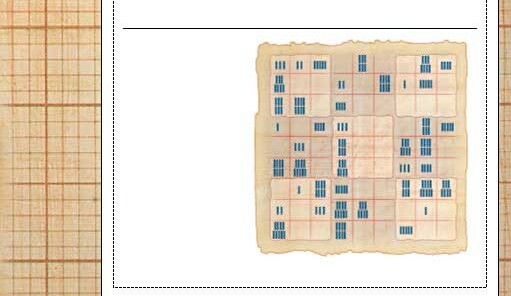 Parts ‘a’ to ‘d’ may be solved intuitively, or algebraically; but part ‘e’ may only be [easily] solved using algebra. (A) – A man borrows donkeys to use for transporting goods. 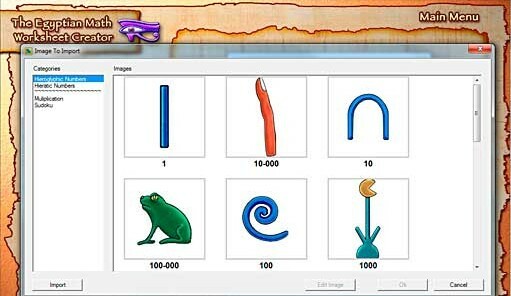 To re-pay the loan the man must give the lender deben of copper every month per donkey. for transporting goods and earns deben of copper per donkey per day for this work. How many deben of copper does the man make per month? The man has to spend 30 x 200 = 6000 deben of copper per month in loan repayments. (B) The donkeys take some looking after, though. The man has to spend deben of copper per donkey per day for feed. When the donkeys are working they need twice as much feed as they do when they’re resting. How much does the man have to spend per month to keep the donkeys? A resting donkey needs 2 deben of copper worth of food per day. Therefore a working donkey needs 2 x 2 = 4 deben of copper worth of food per day. Each donkey works for 16 days, which is 16 x 4 = 64 deben of copper worth of food. The rest of the time the donkey is resting so it needs (30 – 16) x 2 = 14 x 2 = 28 deben of copper worth of food. Each donkey therefore needs 64 + 28 = 92 deben of copper worth of food per month. (C) Occasionally the man has to get the donkey doctor to visit if the donkeys get sick. third, times the fourth and in the fifth month. What is the average number of visits the donkey doctor makes per month? (D) The donkey doctor charges deben of copper per visit. how much does the man get to keep each month? Donkey doctors costs per month = number of visits per month x cost per visit = 3 [Question C] x 150 = 450 deben of copper per month. (E) If the man needs to earn at least deben of copper per month to support his family then what is the minimum number of whole days he needs each donkey to work to make enough money? (assume the donkey doctor makes the same number of visits per month)? Algebraic solution: All definitions remain as before. 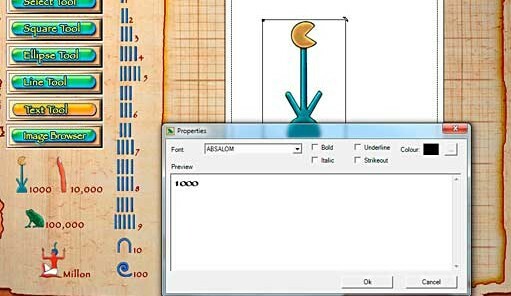 Now, we want S to be greater than or equal to 1000 and we want to know the value of D that satisfies this. out his donkeys for at least 18 days per month to be able to support his family. 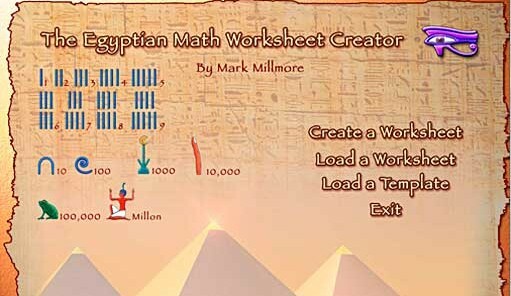 The Egyptian Math Worksheet Creator is base on the amazingly successful Ancient Egyptian Math Problems. 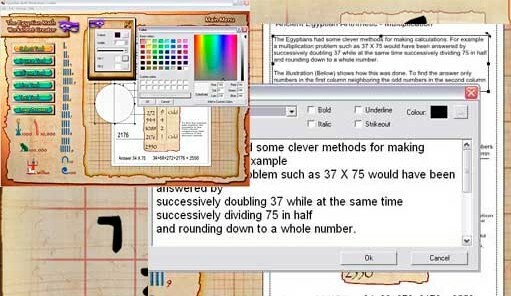 These Math puzzles are used by thousands of teachers around the world and now with Worksheet Creator you can make your own math puzzles. Import your own images and edited them. 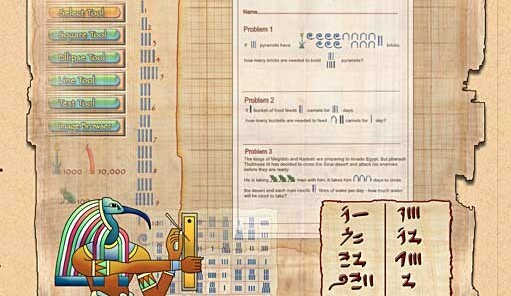 Ancient Egyptian method of multiplication.